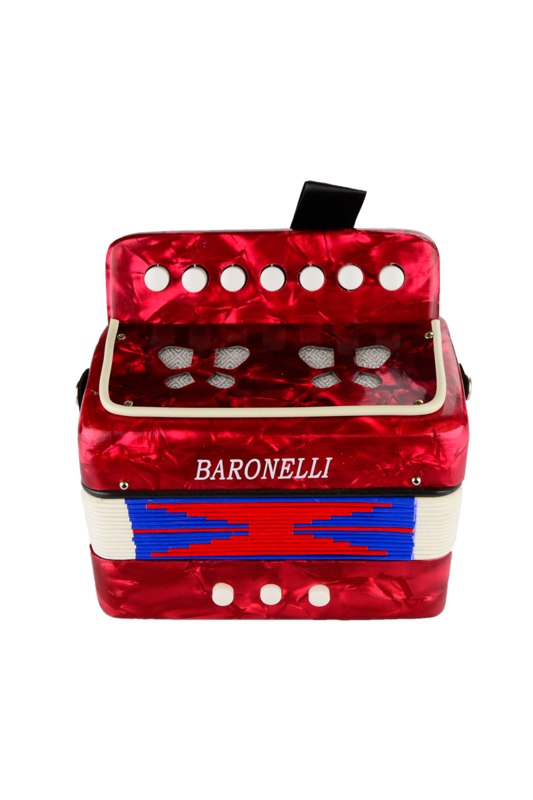 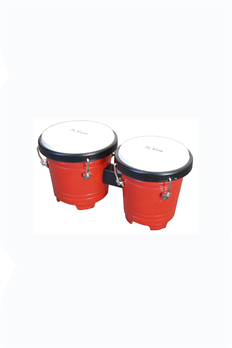 Ideal for kids, the Baronelli AC0702 delivers authentic accordion sounds and feel that is easy for kids to play. 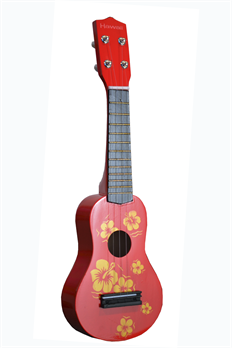 It features a beautiful pearlescent exterior with a shiny chrome grille. 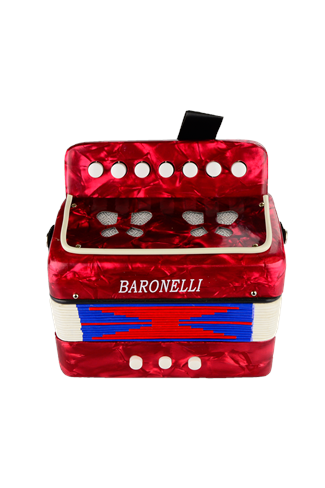 Complete with adjustable straps, this accordion is ready to play out of the box!